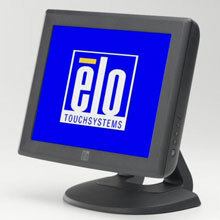 It is replaced by the Elo 1291L Open-Frame. The 1000 Series of touchmonitors are designed, developed and built to provide the most cost-effective touch solutions for system integrators and VARs. Aimed at the fast-changing retail POS and hospitality markets, they provide reliable, durable operation and come from the worldwide leader in touchmonitors, Elo TouchSystems. The space-saving 1215L features a choice of touch technologies and spill resistant sealing. Power dissipation 16 W typical, 20 W max.